Brushing is only half the battle when it comes to maintaining good oral hygiene. Following the advice from your Pawleys Island dentist to floss once a day supplements your oral care, removing food, bacteria and plaque from surfaces of the teeth brushing simply can’t reach. Flossing helps ward off bad breath, tooth decay and gum disease by cleaning the tight spaces between your teeth and just inside the gum line. Knowing how to floss will help you keep your smile bright and healthy. Flossing once a day will protect your teeth from decay between routine dental checkups. It’s a simple task that you can build into your nightly routine and really shouldn’t perform any more than once daily. Excessive flossing can actually cause damage or irritation to your gum tissue. 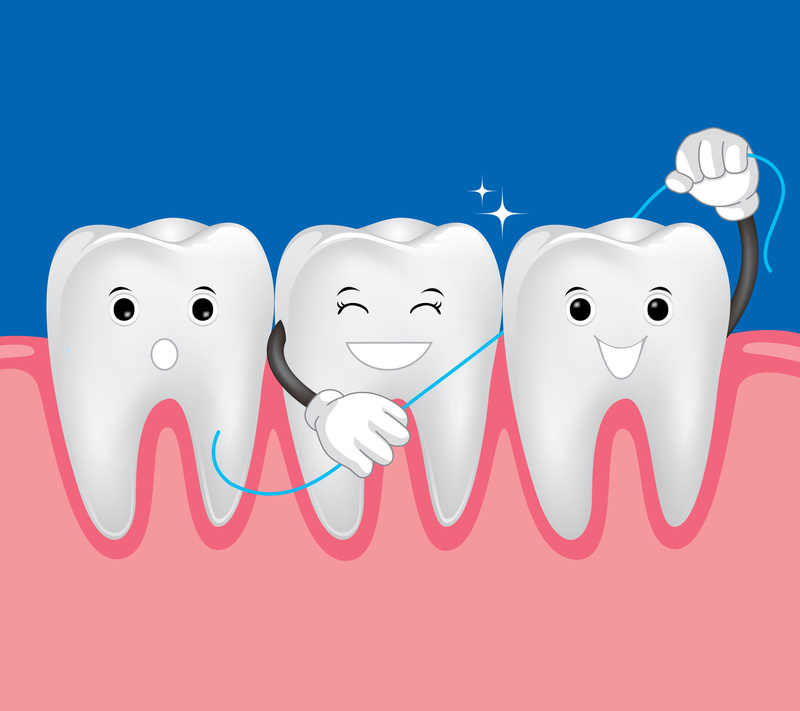 To avoid causing your gums to bleed, use a gentle touch when you floss. It’s not necessary to apply a lot of pressure or to rigorously swipe the floss back and forth. Just enough pressure to get the floss between your teeth with a soft up and down motion will remove the unwanted particles. Flossing is a quick, simple task when done correctly and shouldn’t leave your gums sore or swollen. Using a proper method to floss will get the job done. Hold a short segment of the floss between your thumb and finders and slide it between your teeth. Gently move the floss up and down and back and forth, reaching just beneath the gumline. Use a new section of the floss for each tooth. Is Waxed Or Unwaxed Floss Better? A report from The Guardian states that 79 percent of those surveyed preferred waxed floss, to the 21 percent who liked unwaxed. The primary complaint from those who used the waxed floss noted it had a thick consistency, while the unwaxed floss users liked it because it was thinner and easier to squeeze between teeth. The battle of which dental floss is better – waxed or unwaxed – is completely left to your preference. Studies show no significant difference in the ability of either product to clean teeth better or worse. It is important to note, however, that waxed floss often works better for those with braces because the unwaxed can catch on the braces and cause the floss to shred. If you need some guidance, speak with us at our Georgetown 0r Pawleys Island dentist office during your next regular teeth cleaning about which floss brand and type is best for you.